(CNN) Americans are less likely to share a roof with a partner than they were a decade ago, according to a report released Wednesday by the Pew Research Center. Whereas 39% of all US adults lived without a partner or spouse in 2007, that number has risen to 42% in 2017, according todata from the US Census Bureau. “People are more conscious of the potential costs” of living together, said Stephanie Coontz, director of research and public education for the Council on Contemporary Families, a nonpartisan group of experts and researchers. “A good part of it, of course, is the delay in marriage,” said Coontz, who was not involved in the Pew analysis. The dropping marriage rate is large enough to tip the scales, despite an opposing trend: Unmarried adults are still more likely to live with a romantic partner than before, according to Pew Research. These trends ring especially true for those under 35: About 61% of them are “unpartnered,” versus 56% a decade ago. “Unpartnered” people may include couples who live apart, single parents or people who live with their parents. “They feel like they’re not financially stable, and so they just don’t think that they’re ready to enter into a partnership like that,” said Kim Parker, director of social trends research at Pew. “In the past, it seems like young adults sprung right into marriage, whether or not they felt financially ready, and then built a life and built financial stability as a couple,” Parker said. Experts disagree on how much divorce plays a role in the rise of unpartnered adults. “Divorce has likely not contributed to the growing share of unpartnered adults over this short period,” the Pew analysis says, adding that some statistics even suggest a stable or falling divorce rate. Experts have also argued that many of these data are flawed to begin with. Divorce and marriage aren’t equally distributed across all demographics, she said. Adults with lower income and education tend to have higher rates of divorce, while wealthier and more-educated Americans may be less likely to divorce. “Unpartnered adults are about twice as likely as partnered adults to be living in poverty,” the Pew report said, at 17% versus 7%. 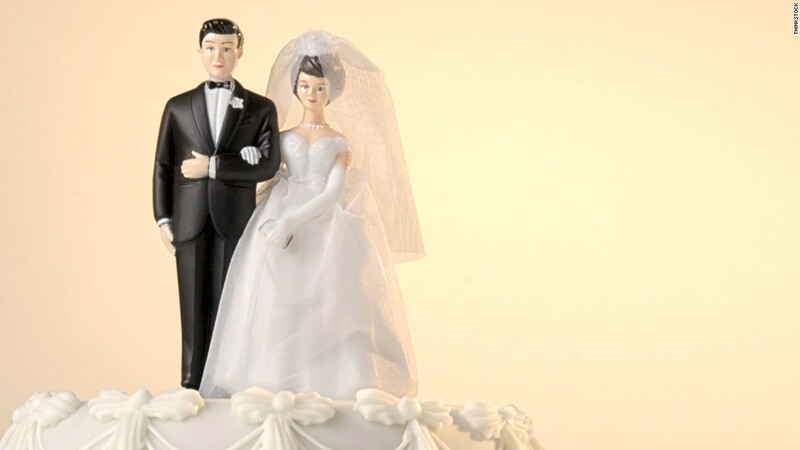 Previous Pew reports have also shown climbing divorce rates among baby boomers and older adults — though they are also more likely than before to get remarried, Parker said. “There’s a lot of complicated moving parts,” she said. Coontz said we might be seeing the effects of the recession play out in the past 10 years’ worth of data, including volatile incomes, especially among adults with poorer job and education prospects and more debt. This may increase people’s caution about making commitments, she said, but that isn’t necessarily a bad coping strategy. “It can actually help if they are taking longer to live together,” Coontz said. Some experts have argued for more policies and programs to promote healthy relationships and families among low-income couples, including job training, child care support and better access to health services. Women are earning more than they used to, relative to men, Coontz said, so marriage is no longer the embodiment of financial stability for heterosexual couples that it used to be. The one group that is living with their other halves more often: the 65-and-above crowd. Parker said this is partly because people are living longer, especially in a generation that is more likely to be married. 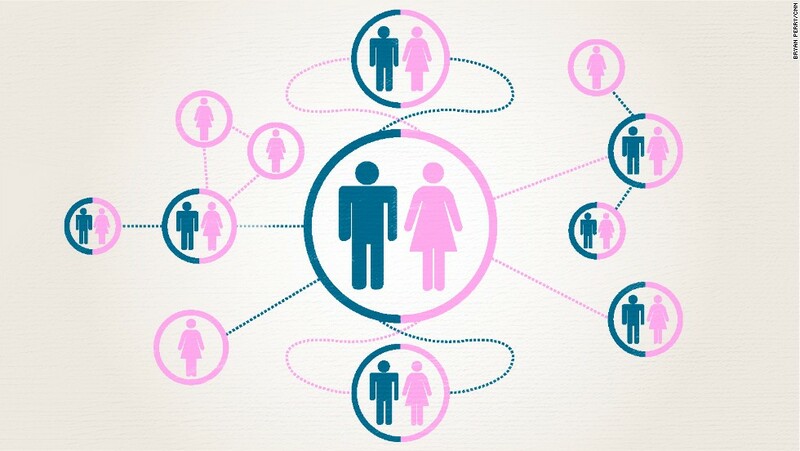 Coontz said the census findings “should not be generalized to think that everybody who’s not living with somebody is not happy.” For example, unmarried individuals may have a wider network of friends than married couples on average, she said. There is less stigma surrounding singlehood. People’s decisions to live with a significant other, to be married or not, represent “a series of living arrangements and interpersonal entanglements that most Americans will experience in the course of their lives,” she wrote for CNN Opinion in September.